Yesterday we had our second day of seminar, and this time, we got to borrow a huge room in the Ministry of Solidarity, and best of all, it had air-condition! We started of the day with some name games, so that everyone got to know one another better. The theme of the day was Diversity, so after we learned each other’s names, we had a session called ‘the diverse me’. 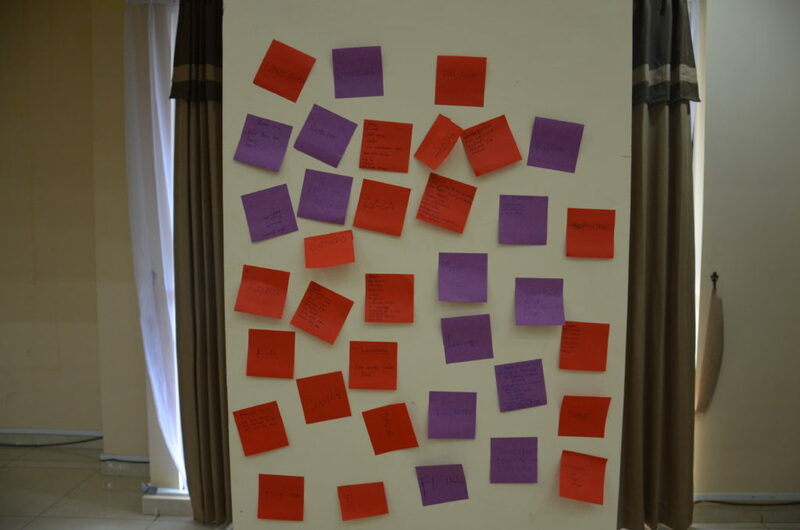 In this session, everyone thought of 3 things that makes them unique. After, they would go in couples and discuss these things. Some of the things were also true for the other person, some were not, and they later talked about how they could use their differences to help each other. Up next we had a lecture by the “Women, peace and leadership” (WPL) group which is under the Peace Centre at UNTL, and was founded 18.08.2012. It is organized by volunteers who focus on developing women’s skills, especially to ensure that their voices are heard. 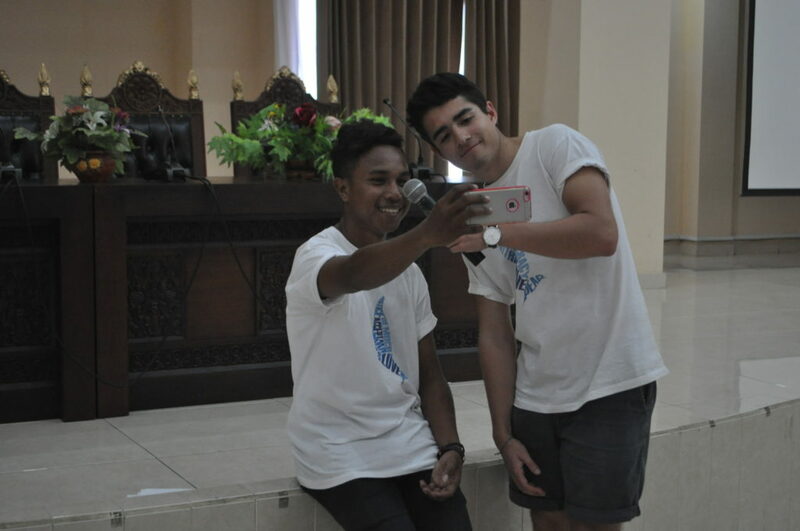 In order to do this they learn how to present themselves and do public speaking. The Timorlestian cultural talents are also preserved by showcasing tradition in public, and the WPL groups supports this preservation for both men and women. 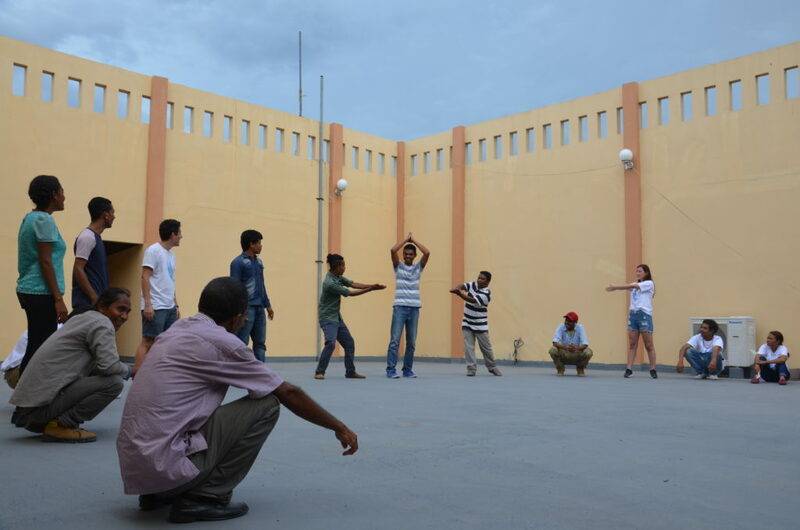 An important activity they arrange is the “Circle of peace” where there are two gendered groups. 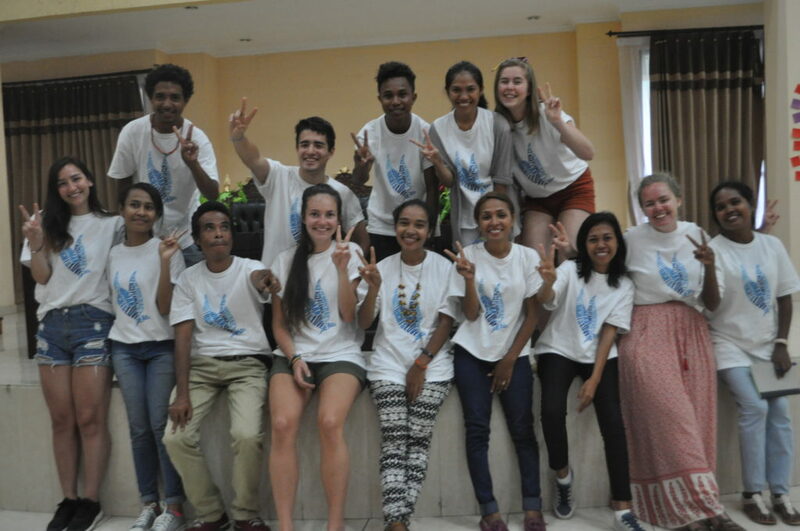 The aim is to ask what they wish for peace, and to share their experiences. By learning about each others’ experience they can be not only inspired but learn specific ways on how to work with peaceful methods. The different students’ and genders’ competence is utilised to a great success. 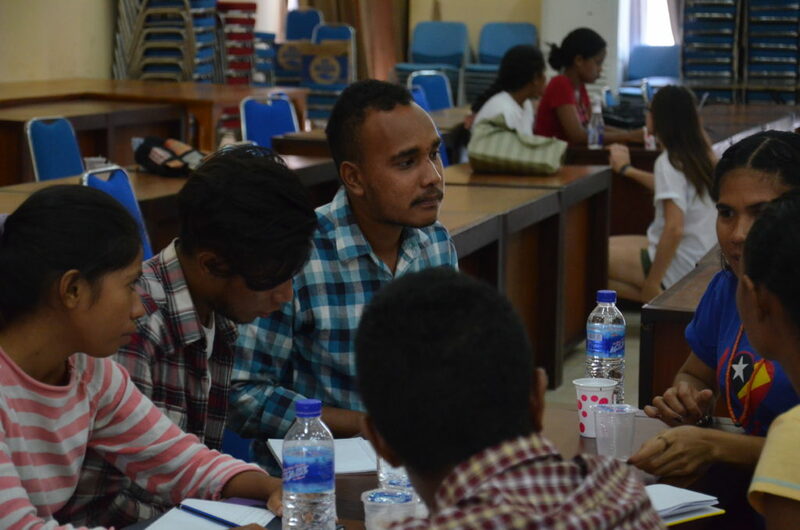 After the WPL group presented themselves, their activities and goals, the participants held a debate where it was highlighted that the main issue for women in Timor-Leste is the lack of capacity building, and this is exactly what the WPL group works with. After the lecture we split everyone into 8 groups, making sure to even out the numbers of students and farmers within every group. Within the groups, we had a workshop called ‘Lifeboat’, where you put 10 fictional characters on a sinking boat, and you need to throw them out one by one. It might be a pretty macabre scenario, but it led to some great discussions, and we went a over time since the groups just couldn’t decide who to throw out. After throwing everyone but one off the boat, two and two groups went together and discussed how they did things differently, and why. We also talked about judging people, if some people have more value than others, and about equality. Finishing off, we played had a short workshop called ‘How do we judge’. Within the group, they had to write down different traits that characterize a person. After, we went through some of the traits, and talked about whether we change how we behave towards people with these traits or not. We ended the day with a quick discussion about discrimination, and what we can do to have less discrimination in our communities. Today’s theme will be Ecological Crisis, and we are, as always, very excited about the day!